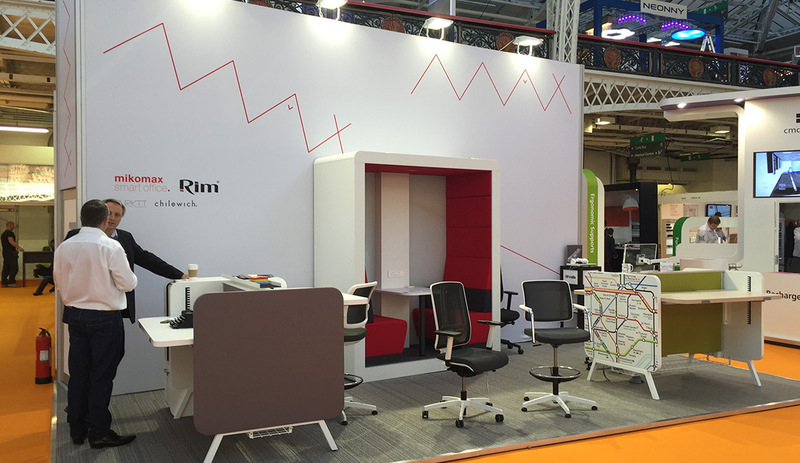 Max Furniture are a leading supplier of stylish workplace furniture specifically designed to improve health and comfort throughout the office. Contemporary chairs, workstations and a huge rage of products are offered and with clients such as M&S on their books it’s safe to say the company’s reputation for quality and style is unsurpassed. Managing director Barry Foley has 30 years of experience in the industry and furniture remains a passion of his to this day. As the UK arm of Polish company Mikomax, Max Furniture has a unique and refreshing style of product, instantly recognisable to the discerning eye. 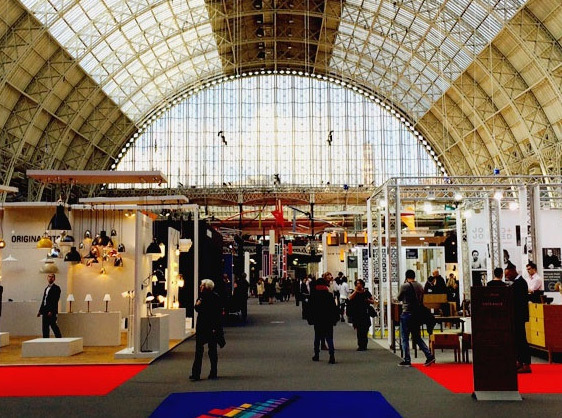 Barry came to Nexus needing an exhibition solution for their stand at the 100% Design show in London Olympia. 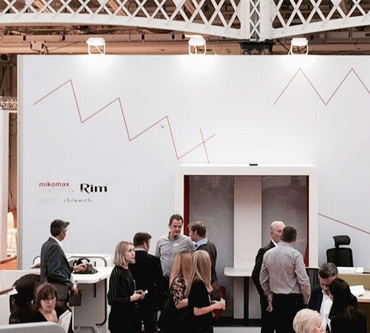 The show is the largest design event for industry professionals throughout the UK so a key element of the brief was to ensure the stand appealed to a wide audience of architects and designers. The design had to be contemporary, innovative and sophisticated. The client had less than a month to prepare for the show, so we had to be quick off the mark and deliver a proposal that would meet the client’s needs. 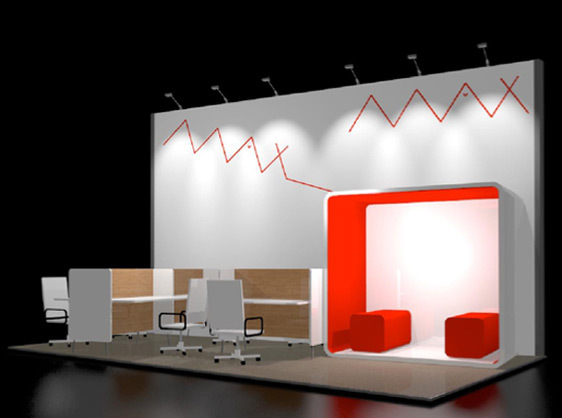 We supplied Barry and his team with CAD drawings so they could visualise the finished product, demonstrating how to make the most of the stand space on offer and optimise their budget for maximum effect. The products were certainly the stars of the show, so our stand was created to serve as a backdrop and a reinforcement of the Max brand. Production and installation went without a hitch and our staff attended the show on the day to ensure our clients were happy. The client was extremely pleased with our design and impressed by the way we turned around the project at such short notice. 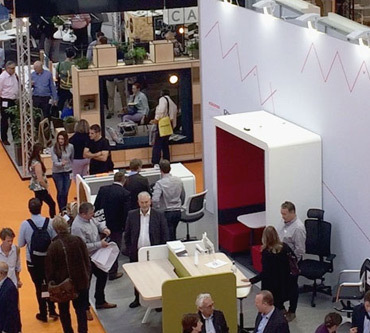 Our design team enjoyed working on the project and it was certainly a privilege for Nexus to have the opportunity to see our work at the prestigious 100% Design Show. 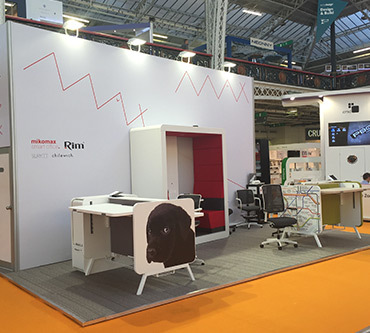 Barry reported an all round successful show and we hope to work with Max Furniture again in future.